There are four principles that make up the foundational framework that all personal and professional development programs are built on. These principles are universal, simple, straightforward and a challenge to adhere to. High Performance, getting what you want or manifesting like a Master is all about taking command of your life from the inside out. The 4 Step Process is the very core – foundation to any self-improvement modality. 2. Feelings – Emotions -memories which cause the brain to release a flood of neurochemicals that…..
3. Produce a State of Being – mentally and physically which has a direct influence on the quality of our actions/behaviors – performance which……. 4. Affects the Outcome and/or Results! Cultivating creative thoughts is the key to start the process of bringing out your Best Self and a life defined by a vision of the future. The Memory Pegs – Fantastic Voyage Exercise – Laboratory And Counselors – Mental Projection Exercises are excellent tools to cultivate creative thought and thinking out of the box. You can then use Mirror of The Mind and/or Holoviewing to program your goals and Life Vision. Take Command…It’s your Life After-all!!! Stop settling for less. If you want to take command of your life and create a life that is filled with passion, achievement, and reward, the most effective solution is through self-improvement and personal growth. This is a chance to focus solely on your personal growth and development, and a chance for you to learn how to become a stronger, more resourceful and more powerful person. Winners find a way and Ken Coscia can help you find yours at The Immersion Experience. You can select your time and location here. Remember to…….. DO Good – Make A Difference – Have Fun & Thrive! ARE YOU A SILVA GRADUATE WHO WANTS TO APPLY THE SKILLS MORE EFFECTIVELY?! You can expand on these tools in the comfort and privacy of your home 24/7. 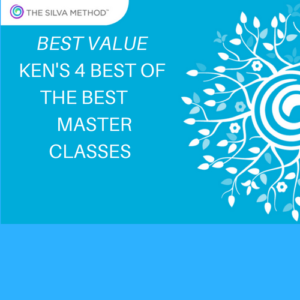 Please check out Ken’s New online Advanced Master Class Mini-Courses. You can get all the details and/or get your’s here.